Working out pitch material for All Your Thens for Now. It appears that the previous link to The Ladies’ Tee moved on Tim Davis’ website. It can now be found here. Here’s my quick take on Tim Davis’ essay The Ladies Tee, the text for the forthcoming vibes and voice piece All Your Thens for Now. If you’re one of the percussionists playing involved in commissioning this piece, send me your recordings and I’ll post them here as well! This fantastic essay is full of allusions to the magnificent (Italian renaissance frescoes) and the magnificently banal (defunct American chain restaurants). Santa Maria Novella is a 14th-century Gothic cathedral in Florence, and its main chapel, Cappella Tornabuoni, is filled with an expansive series of frescoes by the Renaissance painter Domenico Ghirlandaios. 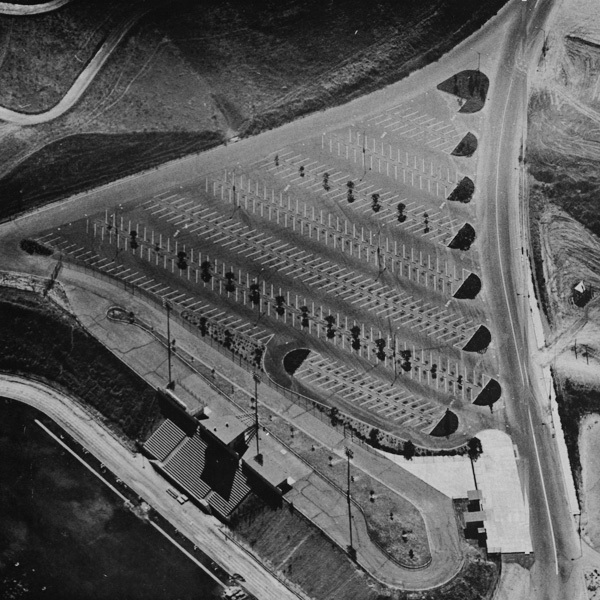 “Herringbone parking lots” may be a reference to the photography book Thirtyfour Parking Lots by Ed Ruscha, who took aerial photographs of empty parking lots in Los Angeles on a Sunday morning (they really do look like Herringbone fabric). Thirtyfour Parking Lots was a followup to his previous (amazing) book, Twentysix Gasoline Stations. “Halide-ballast” is hard to say, but apparently, they’re the norm for most streetlights. The type of lights in streetlights is exactly the sort of thing that you’d expect a photographer to know. Michelangelo Merisi Caravaggio was an Italian baroque painter who made several pieces featuring St. Matthew. 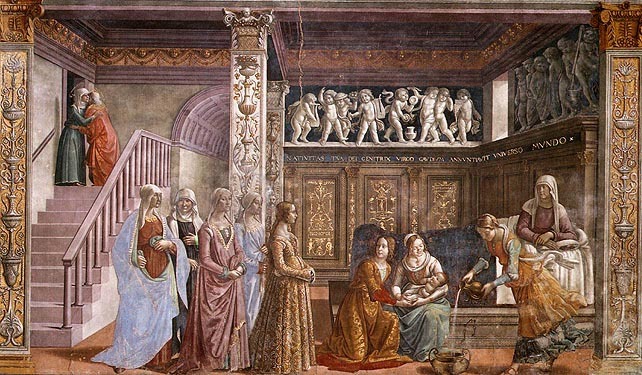 All three hang in the Contarelli Chapel in Rome. The two pieces in the picture below, The Martyrdom of St. Matthew and The Inspiration of St. Matthew both feature the “big dirty angel” that Davis might be referring to in the text. The third Matthew painting by Caravaggio, The Calling of St. Matthew does not feature an angel. I will write another post next week with images of some more of Davis’ allusions and references. In the meantime — send me your recordings! I will post them here. A few weeks ago at The Strand in NYC, I picked up a copy of Photographs Not Taken, a collection of short essays by contemporary photographers edited by Will Steacy. In it, I discovered Tim Davis’ fantastically absurd story called The Ladies’ Tee and contacted him about the vibraphone and voice commission. Davis, an internationally-exhibited photographer and writer who teaches at Bard College in upstate New York, has very graciously agreed to let us use The Ladies’ Tee as the text for this project. Mr. Davis numerous writings include lyrics for the band Cuddle Magic and he has made some great photographs of audiences, politicians (sort of), and decaying signage, among many other things. The Ladies’ Tee is verbose (it took me about five minute to read out loud), fast-paced, written in the second person, and a lot of fun. It also is about Charles Mingus, which is pretty cool. 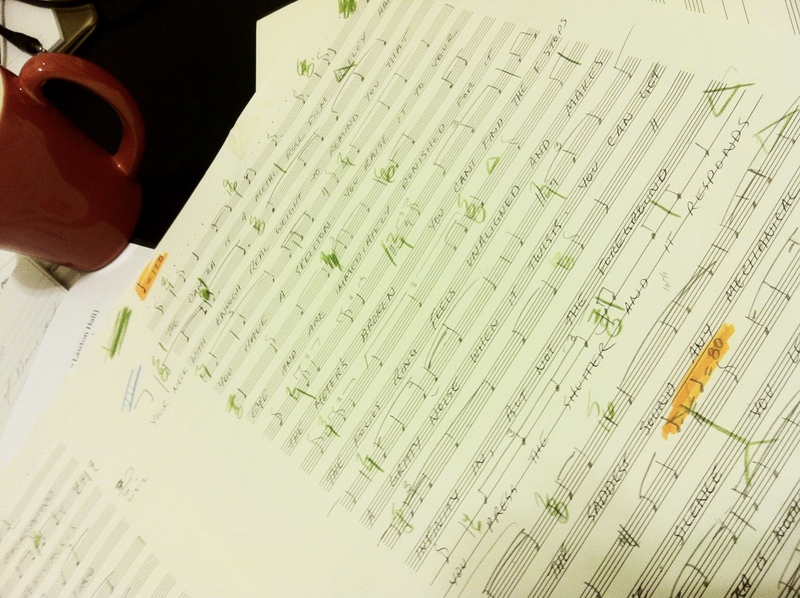 It is full of great material and ideas, and already implies a lot of musical things to me. I’m really excited that Tim Davis is a part of this project and can’t wait to dig further into this essay. New contribution level is now available! Hope everyone is having a great start to summer 2013! And why not join the Lawton Hall Percussion Consortium to make it even better! 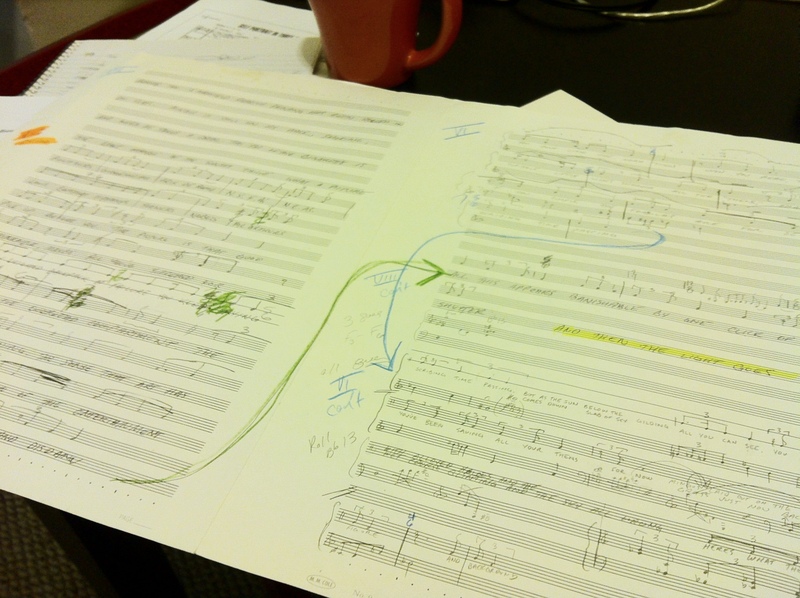 For contributions of $30, you will receive access to the score with full performance rights to the piece one year after its completion (Fall 2014). The other two contributions levels ($100 and $50) are still available for participation, and we hope you consider joining us if you have not already! Please visit the ‘donate’ page for more information and to contribute. April 15th is our deadline to secure our commission retainer for Lawton, and it’s approaching fast! That is 14 days away! Please consider participating in this fantastic project; all the cool kids are doing it! Head on over to the Donate! page if you’re interested. Don’t miss this great chance!